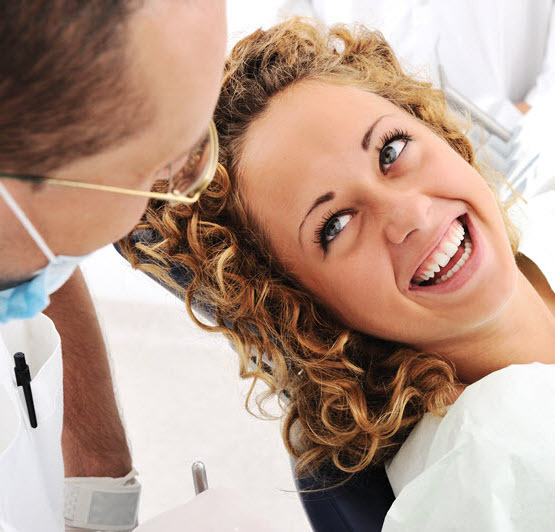 Teeth Cleaning - Why Should I Get My Dentist to Clean My Teeth? If you brush your teeth twice daily, you may not feel inclined to have them professionally cleaned as often as is recommended. In fact, if you’re like many people, visiting the dentist and hygienist may be one of those things that you avoid for as long as possible. But having a sparkling white smile is not the only reason for getting regular cleans performed by the hygienist. Below are four important reasons to visit your dentist for professional teeth cleaning … and they may not be what you expect. Cleaning teeth are essential to preventing gum disease. While you probably think cavities are your biggest worry when it comes to your teeth, gum disease is actually an even bigger threat. It can lead to both loss of teeth and loss of bone in your jaw and is something that a people can suffer from without even realizing. Regular brushing and flossing is your first line of defense, but a professional cleaning is much more thorough and removes disease-causing bacteria that you simply can’t remove yourself. While it may not be as high profile as some other types of cancer, oral cancer does exist. Like other cancers, the earlier it’s detected the better and your dentist and hygienist can look for early warning signs whilst cleaning teeth. Regularly visiting the dentist makes detection more likely. There’s a strong link between heart disease and the health of your mouth. Although the relationship isn’t completely understood, it’s believed that the bacteria, which cause gum disease, migrate into the blood vessels and cause inflammation. This, in turn, can lead to cardiovascular disease. So, while there are many reasons for professionally cleaning teeth regularly, they’re not all purely cosmetic. Not only will you have a sparkling smile, fewer cavities, and fresher breath—you may also have a healthier body. Our team of hygienists, Alex, Vicki, Mandy, Mohammed, and Shuguta are highly trained and experienced. Their services and expertise will give you the most comprehensive care.